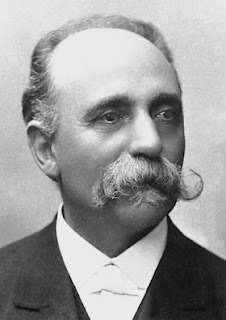 Camillo Golgi, who is recognised as the greatest neuroscientist and biologist of his time, died on this day in 1926 in Pavia. He was well known for his research into the central nervous system and discovering a staining technique for studying tissue, sometime called Golgi’s method, or Golgi’s staining. In 1906, Golgi and a Spanish biologist, Santiago Ramon y Cajal, were jointly awarded the Nobel Prize in Physiology or Medicine in recognition of their work on the structure of the nervous system. Golgi was born in 1843 in Corteno, a village in the province of Brescia in Lombardy. The village was later renamed Corteno Golgi in his honour. In 1860 Golgi went to the University of Pavia to study medicine. After graduating in 1865 he worked in a hospital for the Italian army and as part of a team investigating a cholera epidemic in the area around Pavia. He resumed his academic studies under the supervision of Cesare Lombroso, an expert in medical psychology, and wrote a thesis about mental disorders. As he became more and more interested in experimental medicine he started attending the Institute of General Pathology headed by Giulio Bizzozero, who was to influence Golgi’s research publications. They became close friends and Golgi later married his niece, Lina Aletti. Financial pressure led Golgi to work at the Hospital for the Chronically Ill in Abbiategrasso near Milan and while he was there he set up a simple laboratory in a former hospital kitchen. It was in his improvised laboratory that he made his most notable discoveries. His major achievement was the development of staining technique for studying nerve tissue called the black reaction, using potassium bichromate and silver nitrate, which was more accurate than other methods and was later to become known as Golgi’s method. In 1885 he joined the faculty of histology at the University of Pavia and then later became Professor of Histology. He also became Professor of Pathology at the San Matteo hospital. 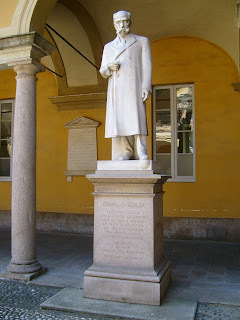 His connection with the university is commemorated with a statue within the grounds, while a plaque marks the house in nearby Corso Strada Nuova where he lived. He was rector of the University of Pavia for two separate periods and during the First World War he directed the military hospital, Collegio Borromeo, in Pavia. Golgi retired in 1818 and continued his research in a private laboratory. He died on 21 January1926. In 1900 he had been named as a Senator by King Umberto I. He received honorary doctorates from many universities and was commemorated on a stamp by the European community in 1994. The Golgi apparatus, the Golgi tendon organ, the Golgi tendon reflex and certain nerve cells are all named after him. Corteno Golgi, a village of around 2,000 people is situated in the High Camonica Valley, about 100km (62 miles) north of Brescia in the Orobie Alps in Lombardy. It has a museum dedicated to Camillo Golgi in Via Brescia. 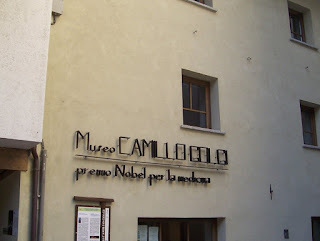 For more information visit www.museogolgi.it. Pavia, where Golgi lived for a large part of his life, is a city in Lombardy, about 46km (30 miles) south of Milan, known for its ancient university, which was founded in 1361, and its famous Certosa, a magnificent monastery complex north of the city that dates back to 1396. 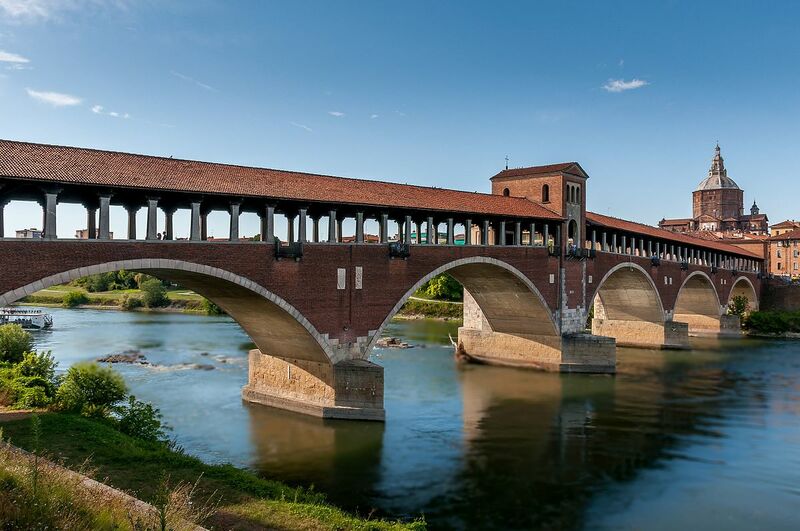 A pretty covered bridge over the River Ticino leads to Borgo Ticino, where the inhabitants claim to be the true people of Pavia and are of Sabaudian origin.